The reservoir level has really dropped recently. This will expose large areas of sticky mud that can be tricky to walk on. 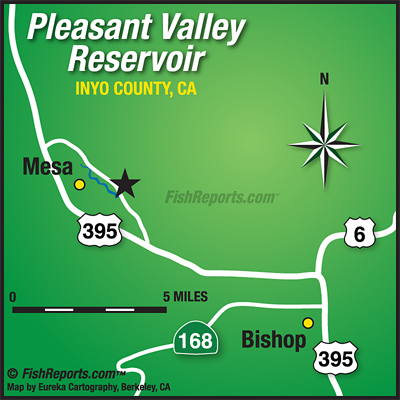 The small river section can kick out some good numbers of hold over trout. Flows have dropped, & this fertile little river can be really fun if you work the harder to reach brush areas accessible when the powerhouse is not generating. I like dry/dropper combos like Stimulators, hi-vis mayfly, or caddis as the upper. Use smaller Assassins, FB PT’s, or crystal tiger midges as the nymphs.